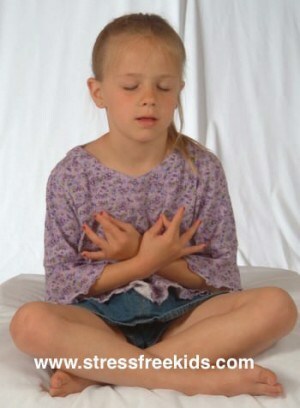 Children are vulnerable to stress. Thirteen out of one hundred children experience some kind of anxiety disorder and many more are just stressed out! Living a balanced life and reducing stress in kids is a challenge for most families. 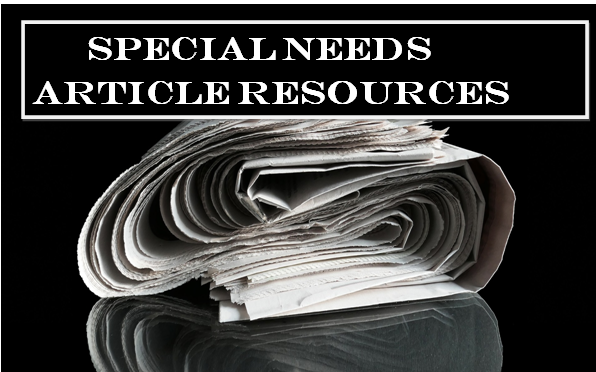 The following are helpful articles on a variety of topics from children with disabilities to adults with physical disabilities. Explaining special needs to your child: 15 great children’s books– This article provides information on books to help promote understanding and tolerance of children with disabilities. Books include topics on ADHD, autism, visual and physical disabilities and invisible disabilities such as anxieties. Developing Your Blind Child’s Sleep Schedule– Although this article focuses on the sleep pattern of children who are visually impaired, it is also helpful for children with autism who display an irregular sleeping pattern. How to Exercise if You Have Limited Mobility– An article that focuses on fitness tips for people with physical disabilities including the three different types of exercises. Have you ever gone to a parent-teacher conference and felt like the teacher’s comments meant something more than what she actually said? Or that she was vague about a concern she has? Sometimes a teacher isn’t as direct as she could be—or would like to be. There are many possible reasons for that. She might be bound by official (or unofficial) school policies that limit what she can say to parents. She might not know much about how special education works and may worry she’s going to give incorrect advice. Or she might be uncomfortable saying something negative about your child. Read the rest of the story here. Welcome to the May article links. These are articles that I tweeted and or received from viewers during the month of May on special needs and developmental disability topics. Enjoy! Welcome to the February links. These are articles that I tweeted and or received from viewers during the month of February on special needs and developmental disability topics. Enjoy! Welcome to the January links. These are articles that I tweeted and or received from viewers during the month of January on special needs and developmental disability topics. Enjoy! Under the dim yellowish light, a woman is preparing the bar to welcome its customers later today. She checks there are sufficient bottles of wine, then walks over to another side of the bar to check the roster. From time to time, she takes out her phone and speaks into it, making voice notes. Grace Ma Lai -wah, who owns Club 71 in Central, was diagnosed with attention deficit hyperactivity disorder (ADHD) just over a decade ago. It means the 63-year-old tends to forget things and relies on her smartphone for reminders. Click here to read the rest of the story. Welcome to the November links. These are articles that I tweeted and or received from viewers during the month of November on special needs and developmental disability topics. Enjoy! Welcome to the June article links and resources. These are articles that I tweeted and received during the month of June on special needs and developmental disability topics.